We also provide Cross-border services. We have supplied Batching Plants to the Congo, Namibia, Zimbabwe, Mali, Algeria, Angola, Mozambique, Botswana, Mauritius, Zambia, Tanzania, Burkina Faso Swaziland and most recently Australia. Not only do we manufacture fully computerized batching plants, but we also manufacture Mobile Plants to suit the client’s requirements. 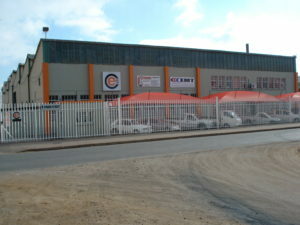 In addition to the plants manufactured, we offer a range of other services. Such being: Building of Silo’s, Calibration of plants, after-sales maintenance and a wide range of spares for said plants and screw conveyors. Keeping the client’s satisfaction in mind, we strive to be the best in our field. A constant desire to excel in our field is motivation enough to ensure WE REMAIN THE BEST!